Is it sort of wrong that I've managed to combine something as sweet, innocent and all-American as Girl Scout cookies with liquor? I mean, I dunno. Maybe. I can't be sure. I'm kind of all impaired on milkshake right now. Boozy Thin Mint Milkshake. Get you some. Maybe it's because I'm half a boozy milkshake-deep right now, but I just love when St. Patrick's Day rolls around, don't you? I mean, first of all, it lets us all know that Spring is finally, finally on it's way. I also sort of love the way that everybody suddenly tells you that they're Irish, no matter how tiny of a sliver actually exists in their ethnic breakdown (I'm about one-sixteenth, by the way). I can't think of a single person I know who doesn't look terrific in green. And really, people, the pure unadultered celebration of beer just can't be beat. I try not to think about the leprechaun part, because that's just creepy, but luckily things like McDonald's Shamrock Shake take your mind off the idea that a tiny, green man could be hiding out under your bed this very second. Another thing that is always hotly anticipated this time of year is the appearance of those sweet little Girl Scouts out in front of grocery stores, banks and post offices, manning their card tables stacked with boxes, their adorable, dutiful little faces sucker-punching you with requests to buy their crack-like cookies. 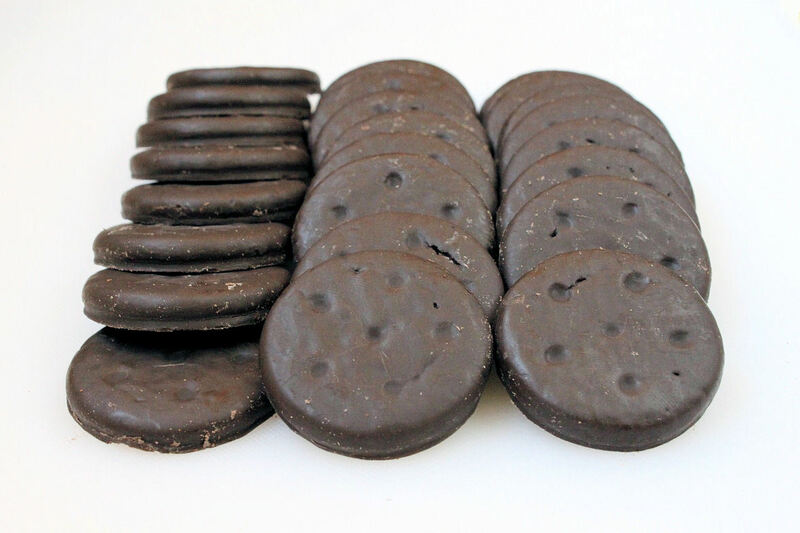 Every year, I think, just a box of Thin Mints, please, darling Amanda, and every year, without fail, I come away with at least a half-dozen boxes. And then inevitably, the very same day, the husband brings another half-dozen boxes home from work, purchased from some office mate's kid. Anyone who says people gain the most weight over the holidays have clearly never considered Girl Scout cookies in March. Trouble. So really, this milkshake celebrates everything that's great about St. Patrick's Day. 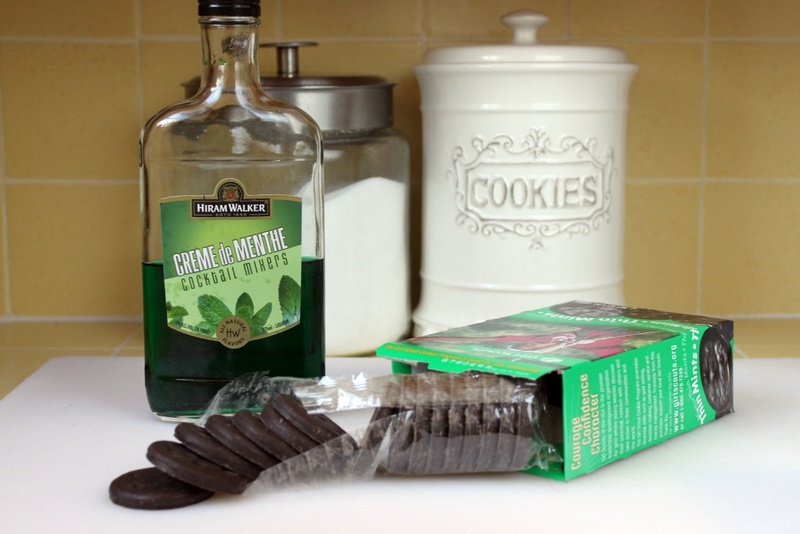 The appearance of the most popular Girl Scout cookie, cheery green things, and booze. Oh, and ice cream, because, ice cream is always something to celebrate. It's also kind of glorious to come up with a way to cram a day's worth of calories in a glass. Ironically, I found the lucky number 7 to be the perfect number of cookies for this milkshake. More is always welcome, but I wouldn't recommend less. I'm including green food coloring here as an option, but I didn't find it necessary--the shake had a pretty, mint green color that didn't show up as vibrantly in the above photo. If you're a teetotaler or a small child, replace the creme de menthe with a splash of milk, a bit of peppermint extract and a few drops of green food coloring. Toss all ingredients into a blender. Blend thoroughly. Add a drop or two of green food coloring if you wish. Serve immediately. You're welcome.